Sun, sand and lots of beaches. 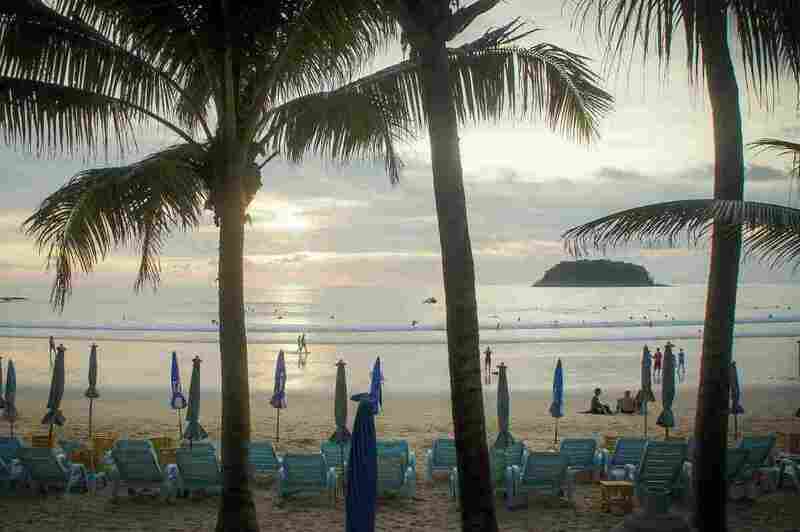 You can’t deny that Phuket is a fantastic vacation spot for families. There’s so much to see and do. To help you plan a short trip here are our top picks of where to go when you’re visiting Phuket with kids. Phuket Fantasea is a cultural experience that will draw lots of ooohs and ahhs from your kids. I’ts a cultural theme park with a difference. There’s a show with lots of special effects, Thai dancing, history, and a fantasmagorical display of magic, acrobats and elephants. Make sure you put this at the top of your list. Which Phuket Beach Club would you choose? 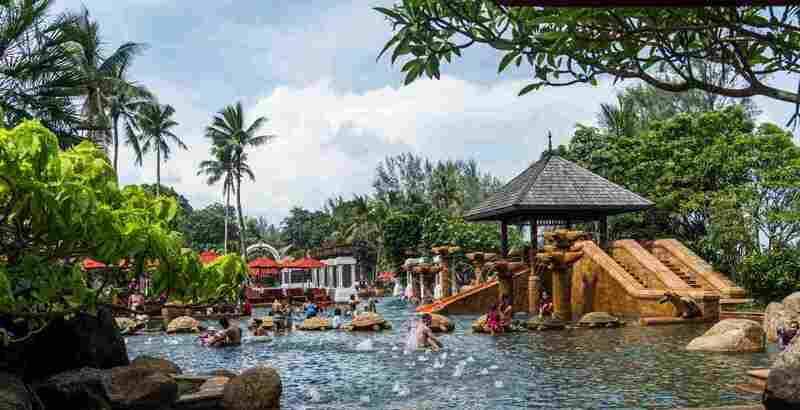 Kamala Beach is a great choice for families. It’s quieter but has lots of facilities. You might like the local restaurants and play areas for the little ones and there’s a nice playground along with market stalls and resorts right on the beach. This quirky Phuket attraction has three parts: an upside down house, a fun garden maze and an escape room. Your kids will love them! The maze is great for all ages. and the Upside Down House is bizarre, with its upside down paintings and furnishings. Even the wine glasses are upside down! Rawai Park. has four areas aimed at different age groups. The water park for 2-12 year olds is the place the kids will love cooling down at while the two indoor playgrounds are fun for kids of all ages. 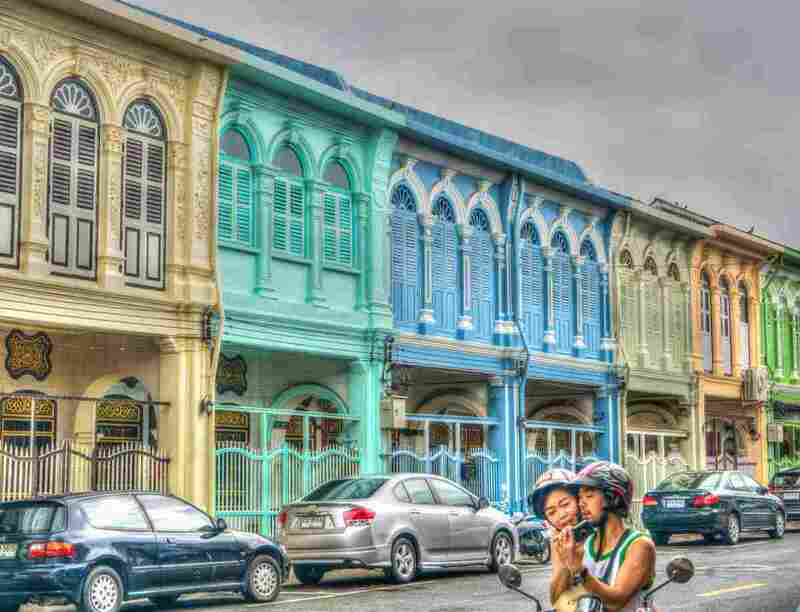 Phuket Town is attractive and its fun to explore the Sino-Portuguese architecture. Plan to take a day trip (or half a day at least) and squeeze in some shopping while you’re there. as most things are cheaper here Take some photos as momentos. Looking for more? 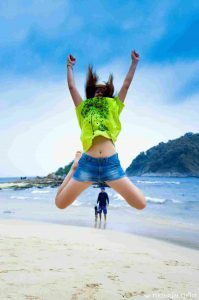 Here are some more fun places to visit in Phuket. There are two seasons: low and high ( monsoon and dry). Low season runs from May to October and is much cheaper while hotel prices double during high season. Check out our list of top luxury resorts to stay in Phuket.